As a cat parent, you know you’ve got to provide certain essentials for your feline family members – food, water, healthcare – and environmental enrichment. That includes things like toys, entertainment, and places to climb, play, and rest. 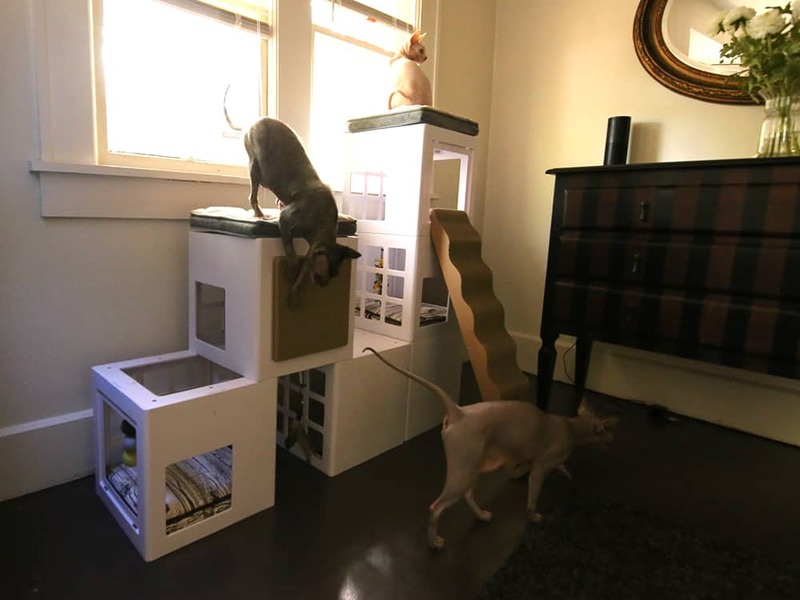 Now we all want something that will satisfy our cats’ need to climb up high and play on, but who really wants to put an unsightly big, bulky, carpet-covered cat tree in their living room? While cat trees are wonderful for cats, many of them are less-than-attractive. Not to worry! BeOneBreed is doing things a little bit differently. 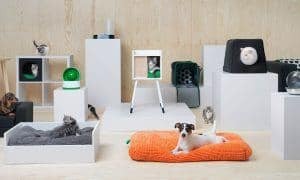 They sent us their Katt3 Trendy House for Cats and some accessories to go with it. What did our four-legged testing crew think? Read on to find out – and then enter to win your very own Katt3 Starter Kit! When a big box from BeOneBreed showed up on my front porch, there was already a frenzy from the cats – “A new cardboard box for us!” I could imagine the series of squeaks and meows was intended to mean. I dodged their figure-8’s around my feet while I carried the box in, surprised at how lightweight the box was for its size. Inside, I had two Katt3 Starting Kits, which each included 3 Kubes, 1 Memory Foam Bed, 1 Pillow, 1 Toy, and 1 Cardboard Scratching Pad. One cool thing about this kit is that it requires no tools to build – pieces snap together in an infinite number of ways. With a Starting Kit (or two or three) you can pretty much build anything your imagination (and space) will allow! With six cats watching in anticipation, we got to work putting the two kits together. I’ll admit, I found it a little challenging to assemble at first, in main part due to my lack of planning. The instruction booklet is very similar to those you’d get from Ikea – mostly drawings and very few words. But once I got the hang of it, it went together really quickly. There are a lot of pieces to put together, but that all contributes to Katt3’s stability and structural integrity – after all, it will be climbed on, jumped off, wrestled in, scratched at, and snoozed atop! But what really makes Katt3 stand apart from all the other cat houses and furniture available? A few things, actually. For one, all the add-ons and accessories make the Katt3’s possibilities endless! 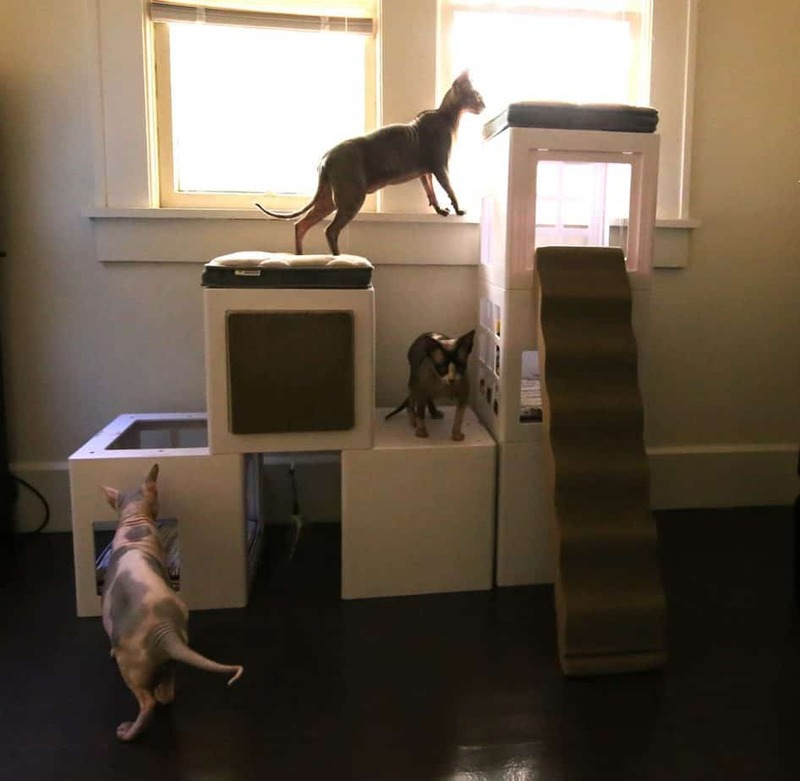 If your cat, like some of mine, tends to absolutely adore his cat tree for the first few weeks, then pretends as though it doesn’t exist, just switch things up – rearrange cubes, swap out cushions, add a new scratcher and fun dangly toys and voila! A brand new piece of delightfully fun cat furniture to enjoy over and over again! Along these same lines, Katt3 can be upgraded when you add another feline to the family. 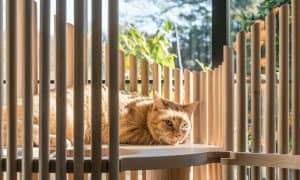 Or if your aging cat can no longer jump to the top of the tall tree, you can simply rearrange the kubes into a new house that’s more suited for him. 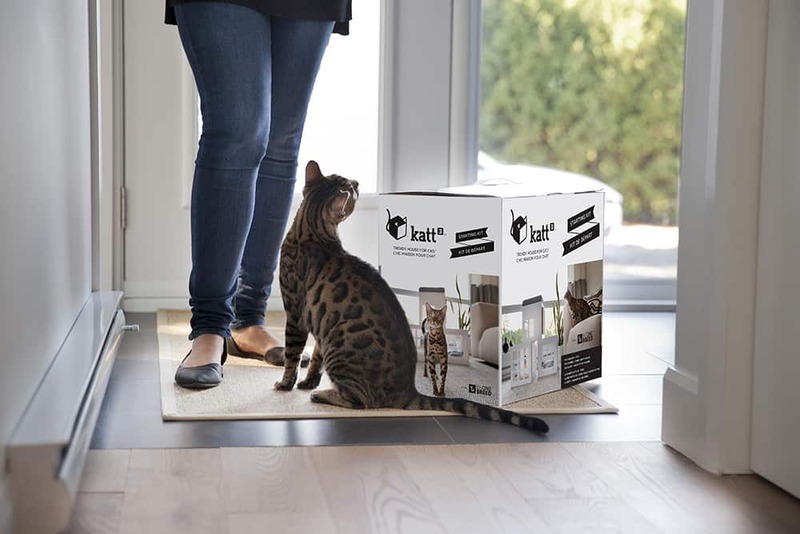 What’s more, whether you’ve got a tall space, a skinny space, or a big open area available, Katt3 can be arranged to fit your needs as well as your cats’. BeOneBreed is constantly adding new accessories, patterns and add-ons each season. 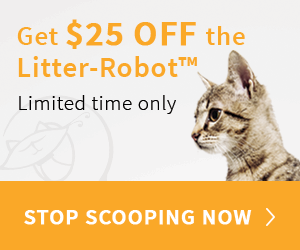 So you (and your cat) will never get bored with it. For example, the tall catwalk scratcher shown is brand new and will be released in the next couple of months. When parts and pieces are worn or torn, they’re easily removed and replaced. I also love that the Katt3 is easily wiped clean. Ever tried to clean a carpeted tree? Impossible – especially when I had cats with fur! So what did the official gang of ‘Catington Post Product Testers’ think? That’s what’s most important, right? They give Katt3 two paws up! Norman is especially fond of the built in scratching pads and can’t seem to walk past it without stopping for a good stretch on his way by. Walter loves to swat at the hanging toys, Boris prefers to hide in one of the ground-level cubbies, and Baldar likes his spot on the highest bed where he can watch the birds and squirrels out the window. I’m sure he also appreciates the comfy memory foam pillow so he can spend hours plotting in extreme comfort. 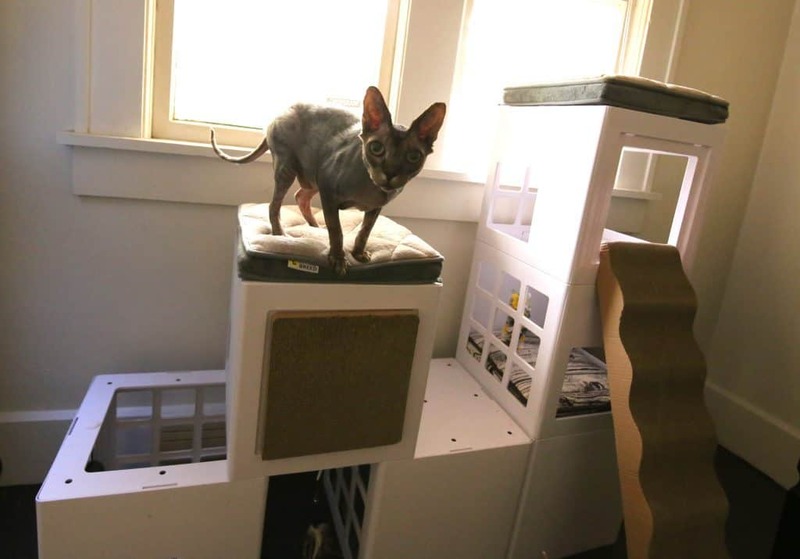 If your cats love to look out the window, build a Katt3 tall enough to give him a peek outside and guarantee it’ll be your kitty’s new favorite place to perch! And me? I appreciate having a good-looking and stylish piece of cat furniture that (most importantly) fulfills the environmental enrichment needs of my kitty clowder. Do you want to get your paws on your very own Katt3 Trendy House for Cat? It’s available now on Amazon.com and pet specialty stores in the US and Canada. Our friends at BeOneBreed are giving away a Katt3 Starting Kit to one lucky reader! Enter below for your chance to win! oh my Minnie is so frisky she would love this! I just purchased the “set” of 3 at my local pet store yesterday. I loved how it looked. I have just never been able to give in to the carpet tower. I got it home so excited to put it together for my feline baby girls and it was IMPOSSIBLE! I am sorry for the bad review because I love it but there is nothing user friendly about this. And I have put a lot of furniture together. Maybe better directions might be a good idea?? Best of luck with it.